The building was used as the Music Hall from approximately 1911 to 1926. The School of Music was located on the first floor of the hall. The School of Domestic Science and Arts was located on the second floor. 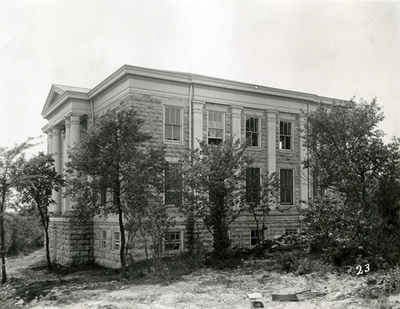 The stones of Cabell Hall were reused to construct the Home Economics Building in 1926, making room for Gordon Wilson Hall on the original site. The Home Economics Building was located next to Helm Library and was renamed the Industrial Education Annex.